Welcome to the homepage of the Vancouver Eishin Ryu Iaido Club. We are a group of men and women who share a common interest in iaido. This site will help you learn a bit more about this martial art form and our club. We are always looking for new members and are happy to answer any questions you may have. Please feel free to come out any practice or contact us through the website if you are interested learning about Iaido and or joining the dojo. The Vancouver Eishin Ryu Iaido Club practices the classical form of iaido known as Muso Jikiden Eishin Ryu. This martial art dates back over 450 years and is unbroken in its transmission through the ages. The founder of the martial art that would later become known as Muso Jikiden Eishin Ryu was Hayashizaki Jinsuke Minamoto no Shigenobu (c. 1546 - 1621). 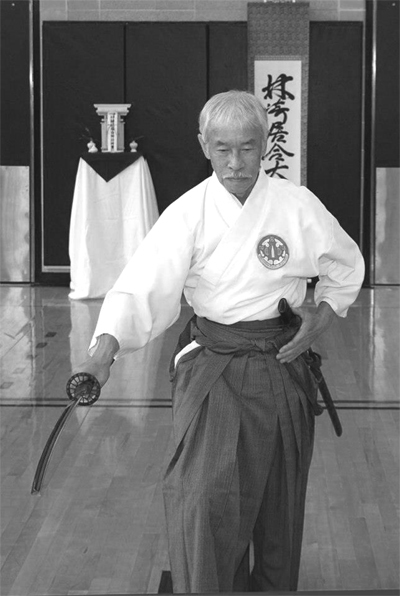 The Vancouver Eishin Ryu Iaido Club is led by Hiro Inoue Sensei and it is an officially accredited dojo of the iaido international federation known as Seito Seiryu Muso Jikiden Eishin Ryu Iaido Kokusai Renmei (IKR). Seito Seiryu Muso Jikiden Eishin Ryu Iaido Kokusai Renmei, also known as Iaido Kokusai Renmei, is headed by Esaka Sensei. To learn more about iaido, the Vancouver Eishin Ryu Iaido Club, or Iaido Kokusai Renmei please visit the club info and links sections of the website. For information on practice times and locations please visit the club info and locations sections of the website. New members are joining all the time and practice is open to all levels of skill. June 7th, 8th, and 9th, 2019. Please see the seminar page for more information.